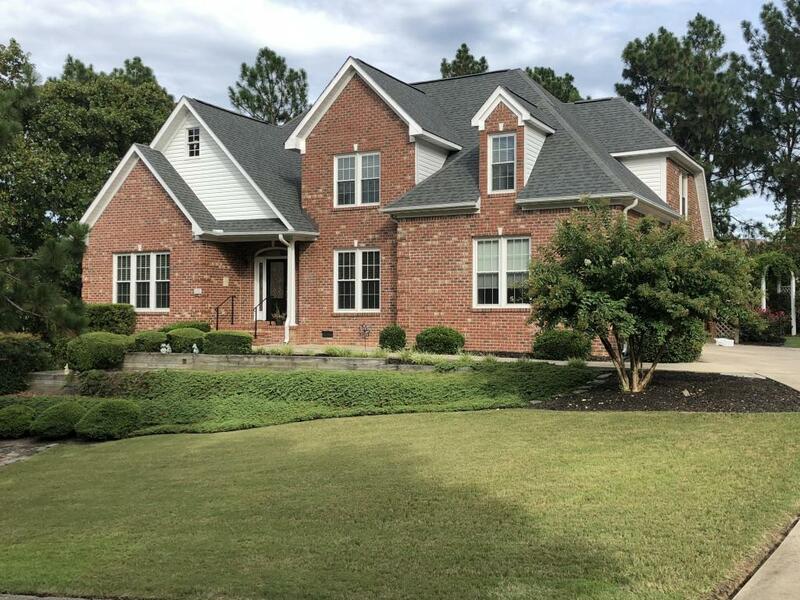 Stunning all brick golf front home in the desirable Pinehurst No. 6. Spacious living room with vaulted ceiling, gas log fireplace and an abundance of natural light. The large den has hardwood flooring and French Doors for added privacy. The elegant kitchen has stainless steel appliances, silestone counter-tops, and a GE Profile gas cook top. Large master suite has completely remodeled bathroom. Three additional bedroom and a full bath are located on the upper level. The 3-season enclosed back porch overlooks a manicured back yard and the third green of Pinehurst No. 6. The home interior was recently painted and new carpet has been installed in all bedrooms. The lower level opens with an electric garage door opener and has golf cart storage and a small workshop area.